Posted 2/11/2009 10:06am by Renee Savary. First our hens are fed a USDA certified organic feed without soy added. Which means that we know what is in the feed, all the ingredients are certified organic and there is no filler or plastic pellets (yes it does exist). The feed is made of real grains not some pelletize form of you dont know what. Second our hens roam freely, that is called pastured (not to be mixed with free range), all day long. They scratch for greens and bugs and just have fun being hens. At night they are cooped mainly to keep them safe from every foxes, coyotes and other predators that I am sure is waiting for a free diner at every corner of the property. Their coops are equiped with nesting boxes where they lay their eggs. We moved their coops around to make sure they get new and fresh pasture. Third our hens have never been medicated. We do not give preventive medecine (and yes most bag of feed out there as some kind of antibiotic included). We keep their coops super clean and between the fun outdoor activities and the good food they just keep healthy. We also have a strict bio security system in place. 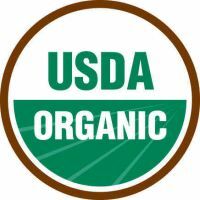 We are not yet USDA certified organic and therefor can not sell the eggs with the organic label but we are working on it. If you want to try REAL eggs or just taste and feel the difference we are THE place and you know we do not cut corner to produce the very best. We sell our eggs by the dozen from $5/dozen to $6.50/dozen depending on the eggs size, the inventory/production and the volume of the order. You can call or email us to place an order. Posted 8/13/2008 9:13pm by Renee Savary. Today is a good day to start a blog !! I got two different breeds, 25 Dominique and 25 Rhode Island Red, both are heritage breeds, meaning they are old breeds that have not been genetically modified for fast confinement production !!! ready for snacks … and they are still snacking !!! They are getting organic starter feed and of course because it is organic the feed does not contain any medicine or other scary stuff … That was my biggest problem to resolve when I decided to get the chickens, to find feed without medication and organic … nobody is doing it around here … sad !! !